If you’re working toward financial independence (FI), chances are you’re looking to optimize your expenses. 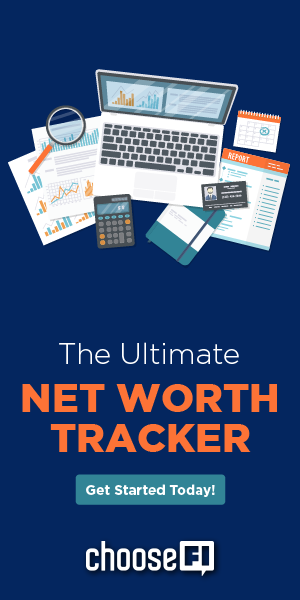 By reducing the amount of money you spend each year, you reduce the amount of money you need in your nest egg to reach financial independence. The average household spends over $1,300 in energy a year, usually on heating and cooling. However, your energy bill is highly dependent on your personal habits, your particular home, and the state you live in. You can lower these costs if you’re willing to invest some money in energy efficiency improvements up front or if you’re simply willing to change a few habits. 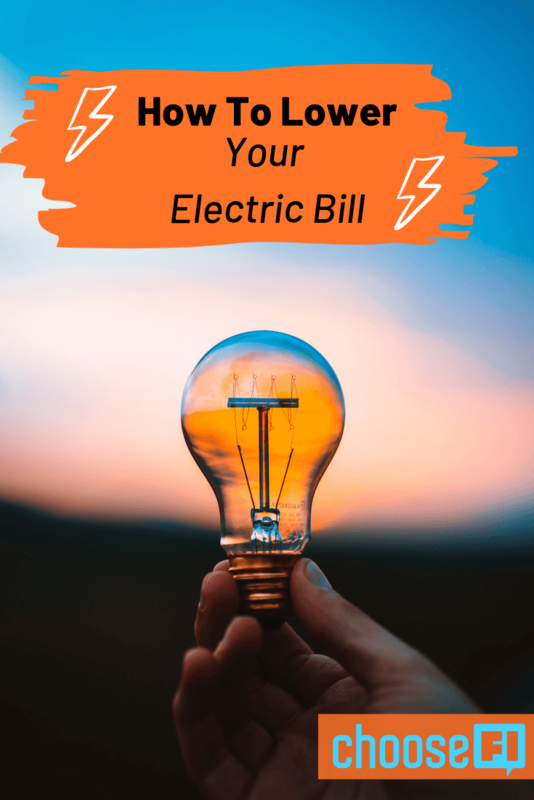 Along with my own research, I asked the ChooseFI Facebook group for their best tips to save money on your electric bill and compiled the best responses. If you’d like to read everyone else’s thoughts or would like to add your own, here’s a link to the post in the Facebook group. Not paying for electricity you aren't using is a great way to cut costs without impacting your life at all. Many people noted that leaving lights and ceiling fans on after you've left the room is a common issue. A couple of members mentioned solutions that can help solve this problem. Motion sensor light switches will automatically turn the light switch off if it doesn’t sense movement in the room after a certain period of time. If you often leave lights or ceiling fans on in rooms you’ve left, this could help you cut your electricity bill, especially if you’re still using incandescent light bulbs. Speaking of incandescent lightbulbs, switching to CFL or LED lightbulbs could offer huge savings. Many LED bulbs use roughly 10-20% of the electricity an old incandescent bulb uses. If you switch all of the bulbs in one area, you won’t even notice the color difference after a while. You can even incentivize your kids to cut out wasted electricity from leaving lights, ceiling fans, and other items on when they leave a room. One group member said they charge their kids $1 every time they leave a light on in a room they aren’t in. I think this is genius. It should help their kids learn good energy conservation habits and pay the electric bill at the same time. Certain electronics need to stay plugged in constantly. However, there are plenty of things we keep plugged in out of sheer laziness. Likely, there are TVs you rarely use, extra computer monitors, room fans, and kitchen appliances, that can stay unplugged until you’re ready to use them. Even items such as hair dryers and unused phone charging cords draw a small amount of electricity and add up. One great tip is to plug all related items into a power strip. This way you can turn them all on and off at the same time. For example, plug your computer, monitor, printer, etc into the same power strip (they probably already are anyway) and then you can easily unplug the whole group at once. Don't think this extra step of unplugging stuff is worth the effort? You can find the biggest “energy vampires” in your house with a Kill-A-Watt monitor Full Disclosure: We earn a commission if you click this link and make a purchase, at no additional cost to you. . Plug your turned off devices into this monitor and it will tell you how much electricity it's using when not in use. This will help you make the biggest impact when deciding what to unplug and what to not worry about. Check your water heater to ensure it’s not dialed up too high. Turning down the temperature on your water heater can save you some cash, and you likely won’t notice a difference. If you don't already have one, installing an insulating blanket around your hot water heater can also help. Keeping the hot water hot for longer will reduce the amount of time your hot water heater needs to be working. According to the Department of Energy, heating and cooling accounts for 48% of the typical U.S. household’s electric bill. This leaves a ton of room to save money on your electricity usage. Group members were quick to point out that using a programmable thermostat could be a big money saver. Simply set the temperature warmer in the summer and cooler in the winter for periods when you aren’t home to start saving money. You could also invest in a smart thermostat. An example of a smart thermostat is the Nest Thermostat Full Disclosure: We earn a commission if you click this link and make a purchase, at no additional cost to you. and it is controlled via an app on your phone. You can set your thermostat to a timed schedule or to automatically go into energy saver mode when it detects the home is vacant. Additionally, should you need to adjust the heating and cooling remotely, you can do that as well. We all have that family member who loves to crank up the heat and forgets about it! During the summer, ceiling fans can help you save even more money. Running a ceiling fan will usually allow you to bump the thermostat up a few degrees and still feel comfortable. The breeze will make you feel much cooler and help you save money in the process. It also helps to make sure your home isn’t building unnecessary heat during the day. If you aren’t in a room, make sure you keep the drapes closed to block out the light and the heat. Room darkening curtains offer the best energy savings. You can also block out the light by growing shade trees around your home. Finally, if you find yourself spending most of your time in one or two rooms of your home, it may make sense to get an individual room air conditioner or heater. That way, you can heat or cool the room you spend most of your time in and leave the temperature in the rest of the house at a more efficient setting. The appliances you use, or don’t use, can have a huge impact on your electric bill. Little tweaks in how you use your regular appliances can lead to more savings. Your oven is an awesome money saving tool when you use it to cook food instead of eating out at a restaurant. However, most times you could save even more money by using a different appliance instead. While a large oven is necessary for some meals, like a Thanksgiving turkey, you don’t need a full-size oven to bake a couple of chicken breasts. Instead of heating up a huge oven to cook something small, consider using a toaster oven instead. It heats up to full temperature much faster and the smaller space means less electricity will be used to cook the same meal. Refrigerators and freezers have optimal settings, so be sure to read up on their energy efficiency recommendations. When putting food in the refrigerator, be sure your food has cooled off completely so your fridge doesn't have to do extra work. The freezer will be more efficient when it’s mostly full. So if you don’t keep a lot of food in the freezer, keeping a frozen jug or extra ice in the freezer area will help insulate the existing items. For laundry, select the options best suited to the load you are washing. And consider that opting for cold water in your laundry cycle. This will help save on electric usage and can also lead to a longer life for your clothing as well. When the dryer is needed, keep in mind that overfilling it will take clothes longer to dry and create more wrinkles. For maximum savings on your electric bill, you could give up the clothes dryer all together. Honestly, a clothes dryer is a huge luxury. If you don’t need your clothes right away, simply hang them up on drying racks or a clothesline outside. The clothes will eventually dry and you won’t have to pay a penny in electricity to get the job done. Our dishwasher broke about five years ago and we never replaced it. We realized we were basically already washing the dishes by hand before putting them in the dishwasher. It was almost no extra work to just dry the dishes and put them away–skipping the dishwasher altogether. Instead, we bought a mini-fridge and put it in the spot under the counter where the dishwasher goes. We keep drinks and snacks in there which means the big fridge gets opened much less frequently. If you can't live without your dishwasher, you can turn off the “heat dry” feature which will reduce your energy costs. And running your dishwasher when completely full can make the most of dishwashing cycle. When it comes time to replace your appliances, it might be tempting to get the cheapest items possible or buy older models used on Craigslist. You might save more money buying appliances that are energy efficient that still fit in your budget. As most modern appliances have higher energy usage standards than their predecessors, you may spend more upfront but reap the benefits over the years. Most appliances come with an EnergyGuide rating, to help you calculate what it takes to run. You'll have to do the math to see if buying an older model really comes out ahead in the long run. It's important to keep up on maintenance for appliances as well. Maintenance costs a bit upfront but saves you more in energy usage and the life of your appliances. The Family Handyman has some great tips for DIY maintenance. Who knew those dryer sheets leave behind an invisible film on your dryer filter! On average, you’ll need to change your air filter for your HVAC every 30-60 days. If you experience allergies or have pets that shed frequently you’ll want to change them out every 20 days. If your filters are clogged, your HVAC will have to work harder to set the temperature your thermostat is set to. If you are committed to doing this, FilterEasy will send you the filters you need on a schedule Full Disclosure: We earn a commission if you click this link and make a purchase, at no additional cost to you. saving you time and money. And don't forget the lint trap in the dryer, cleaning it after every load helps the dryer work more efficiently. The last major category the ChooseFI Facebook group members suggested to save electricity was checking with your electric company for savings. In some areas, you can shop around to find the cheapest electricity provider. Even if you can’t choose a different provider, check to see if your provider offers multi-rate billing which could lower your bill. Simply avoid using your biggest electricity hogs during peak price hours and you could save a great deal. Electric companies often offer incentives to lower your electric use or upgrade to more efficient systems like HVAC systems. Some may even offer incentives if you decide to install solar panels on your home. What’s even more awesome is that many electric companies will come out to your home and perform a free energy audit. They’ll look to see where you need to caulk windows and doors, where you may need additional insulation in your walls and attic, or suggest other ways you could save. 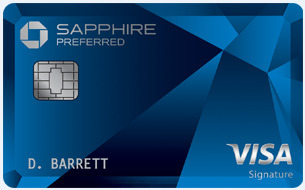 They will also let you know about any rebates they have available to make their suggested changes. Saving money on your electric bill doesn’t have to be difficult. Find at least a couple of suggestions above that will work for you and start saving on your electricity bill now. You’ll be glad you did. I’d add solar can be a good deal. It’s worth researching for the individual home owner who also has an interest in DIY. I’ll add, after the above is done. Thanks for posting! We live in an RV (40′ motorhome). We have 1110 watts of solar on top of our rig. When our neighbors are paying $100+ per month for their electric bill, ours runs around $30. We still need power for cloudy days and an occasional air conditioner ( the AC units are not hooked up to the solar/battery system). But, overall, we run most everything, including TVs, coffee makers, hair dryers, and even the microwave on the solar/battery system! Anyone caluclated the difference of an ordenary water heater vs. an gas heater for your water? Gas heater for wather is very normal in sothern Europe. So I guess, it is cheaper, they are normal much more fugal than the rest of us. I keep hot water heater off except 1 hour in am for bathing & 1 hour in pm for bathing. My electric bill is less than ever–cutting 2/3 of my bill. I also unplug when possible. BTW- great comments here.